The Haemodialysis Unit is based off site, however is an integral part of the whole renal services. It is a nurse led unit, who are supported by Sister Ichim who also runs the Renal course (BSc Health Studies 80 Credits) The unit has 29 dialysis stations with morning, afternoon and twilight shifts to support our patient group, as well as 3 stations in Kingsbridge community hospital. The staff enjoy a highly motivated work environment and are always supported to take on any further education, research or any form of professional development. They were nominated for a service improvement and quality award in 2015 for their home dialysis, and their unit incorporated CAPD. The dialysis unit works very closely with the renal ward, and the staff provide support for the ward when required, thus giving a more varied skill base for the staff. Mayflower Renal Unit is the South West Transplant Unit. Mayflower Ward consists of 23 beds and 6 haemodialysis stations; we provide post op care for transplant patients, plasma exchange in our level one area and various types of dialysis. 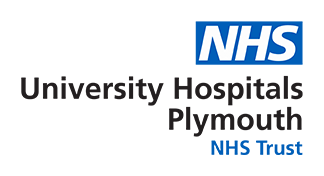 On Mayflower you work as part of the multi professional renal team, which includes the Chronic Kidney Disease Team, Transplant Team and Dialysis Team. Within this team includes an 8 week rotation to the dialysis unit to learn and consolidate dialysis skills. Mayflower ward has a clinical educator who works closely with the team ensuring ongoing education, including completion of renal competency packs, this then leads to opportunity to complete the renal course (BSc Health Studies Renal Nursing 80 credits) which is funded, the module leader is the sister of the dialysis unit, so this enables the students to have ongoing support throughout the course. Within the renal unit we pride ourselves with ongoing education and support for our staff, it is an excellent place to progress your career.